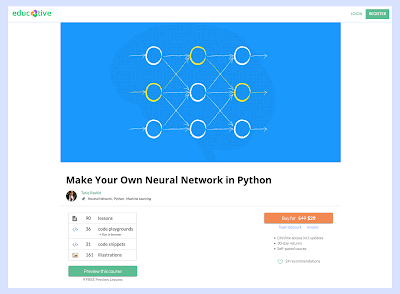 I've been really impressed with educative.io who took the content for Make Your Own Neural Network and developed a beautifully designed interactive online course. The course breaks the content down into digestible bite-size chunks, and the interactivity is really helpful to the process of learning through hands-on experimentation and play. Please I have a problem on page 99 of your book under the heading "How do we actually update weights?". The final expression for the weight update matrix. Why is the matrix within the sigmoid function stated as the Output Matrix for the K layer instead of the Input Matrix for the K layer? Donald - I'm not sure which section of the book you are referring to. Please can you email me at makeyourownneuralnetwork at gmail dot com - and if you can include a photo of the section that would be helpful. 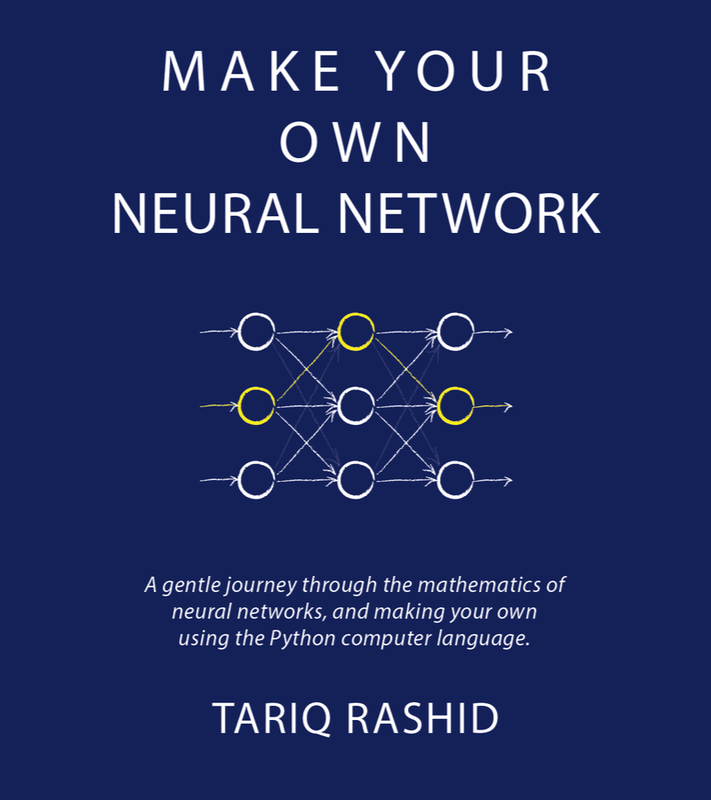 "Make Your Own Neural Network books question". Hope I get your reply soon.